Education Minister Bennett expresses support for US Pres. Trump's decision to cancel US aid to UNRWA. Education Minister Naftali Bennett (Jewish Home) spoke about the Trump administration's announcement regarding cuts in US aid to UNRWA, the UN’s agency for "Palestinian refugees." 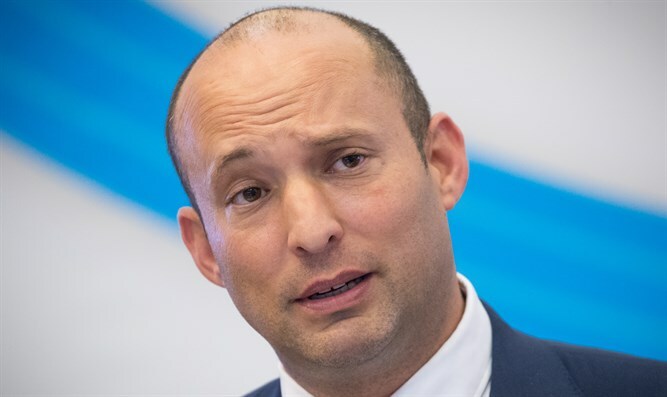 "UNRWA is a terror-supporting organization," Bennett said. "Its very existence perpetuates the sad situation of Gaza residents, who are groaning under Hamas rule." "Aid to Gaza residents does not need to be any different than aid to Syrian residents who are living under the rule of terror, or different than [aid] to any other group of refugees' descendants in the world. "US President Donald Trump and US Ambassador to the UN Nikki Haley's decision to cancel US aid is the right thing to do. I expect everyone in the Israeli government, including in the Foreign Ministry, to support the decision to cut the budget to an organization which employs Hamas terrorists and in whose schools rockets are hidden." In a Thursday statement, UNRWA spokesman Sami Mshasha said he had not received any update from the US administration regarding a change in its policy vis-à-vis the funding allocated to the organization.